An ideal poster for the teachers’ lounge, this would also make a great gift for a teacher friend when printed, matted and placed in a beautiful frame. “Teaching is 25% preparation and 75% theater” – would any educator disagree? A friend of mine recently asked me what prompted me to start this site. I told her that I’ve always been a sap for anything inspirational or motivational. There have been many occasions when a well-timed quote has saved me from a “dark night of the soul” or prompted me to just get up and get going. A quote on it’s own is enough. A book of quotes to me is sometimes too much to absorb. It would be like looking at 20 beautiful sunrises at once. Each amazing but too much for one sitting. I used to make books of quotes when I was a geeky teenager. But I know better now, I think. Quotes are not be devoured but savored. After a while, a quote may not ring true for you any more. What’s most powerful about wit and wisdom also has to do with its timing. Five years or even five months from now, a quote that motivated you to change your life may not be what you need to see taped to your bathroom mirror. Or maybe you cease to see it at all. And then it’s time for a new saying to take it’s place. So, I wondered if people might like inspirational or witty quotes that were combined with simple designs that could be printed for free at home on 8.5 x 11 sheets of paper. Because I would and I hadn’t been able to find any online. And that’s why I started this site. Click the image to download the editable PDF file. 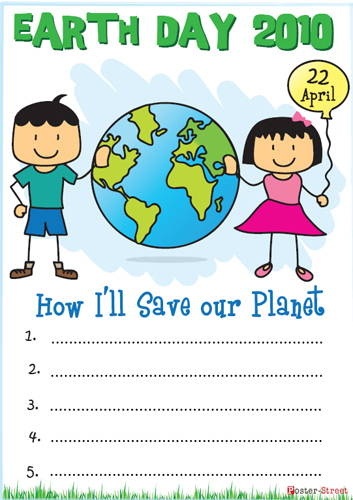 For more information on Earth Day, click here. 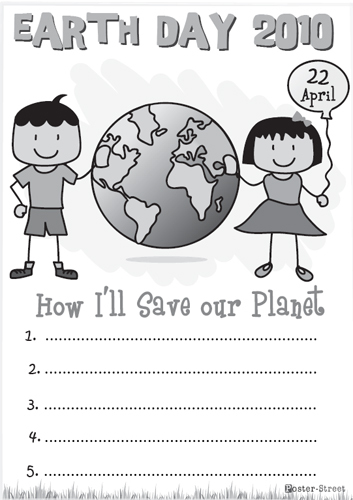 For an Earth Day Science Unit on earth’s Natural Resources, click here. Finding good fonts is hard – finding good free fonts that are easy to read can be even harder! Here are three fonts that we think will work well for various types of posters and flyers and any of your print related projects. If you’re looking for an alternative to the omnipresent Comic Sans (something cute and child-like that resembles handwriting) we recommend the Bookworm font available for free on the website Natashaisneat.com. Bookworm is an adorable font that would work well on classroom flyers and posters. It’s readable and cute at the same time. The KissmeKissmeKissme font is a fun and whimsical font that works well as the title on a flyer, newsletter or poster. While having a whole page of this to read might be ‘a bit much’ this is sure to be a hit with students. Available for free download on dafont.com. The Komika Poster font works well for creating posters aimed at middle and highschool students. 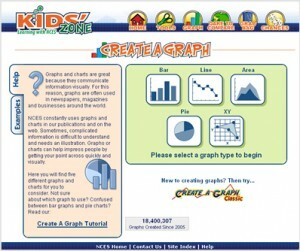 It’s also great for students trying to make their own comic strips or presentations because of how readable it is. Similar to Century Gothic, this sans serif font called Quicksand is perfect for use on blocks of text and is available for free download on FontSquirrel.com. It’s clean lines make it very readable and easy on the eyes. While not as legible as the rest of the fonts in this post, Scriptina is a beautiful feminine font that makes you think of wedding invitations and fancy schmancy parties, and so we thought we’d include it here. Available for free download from FontSquirrel.com it would be perfect for use on flyers, cards and posters designed for bridal showers and gala dinners. Got any other favorite free fonts? Please share them by leaving a comment. 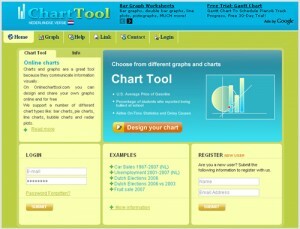 I just came across this website while searching for free PowerPoint templates. The site has hundreds of PowerPoint templates in many different categories including art, education, technology and business. Templates can also be searched for by tags, by doing a keyword search and even by color. I found many of the templates to be of high quality and they included a wide variety of styles and designs from cute to casual to sophisticated. While not intended for printing, I believe many of them would also work well as backgrounds for posters printed on A4 or 8” x 11” sheets of paper. 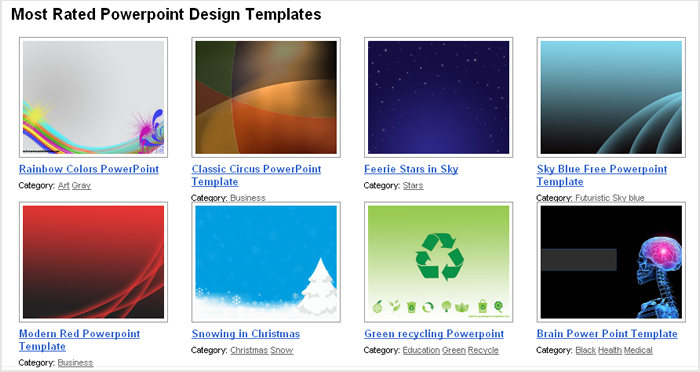 Better yet, just like poster-street.com, there was no registration required to download the PowerPoint templates. You simply have to click on the ‘download’ link under each template (the site is rather ad-heavy, so be sure to click on the right button) and then save the zip file to your computer. Once you unzip or extract the file, you’ll see a folder similar to the screenshot below that contains all the graphics. Be sure to click on the file that ends with the .ppt extension. Caution: I noticed the use of images of popular movie and game characters. I cannot vouch for how kosher this is and whether the templates follow special licensing agreements. Personally, I would stay away from using anything with Mickey Mouse or Mario just to be safe! 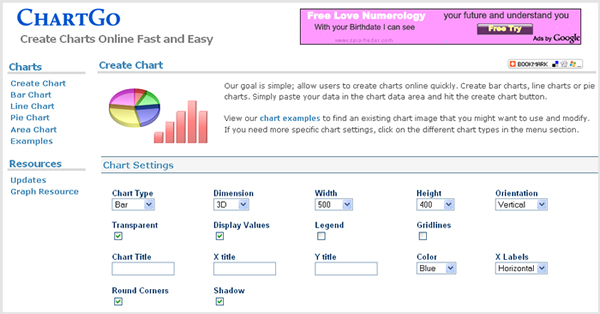 Collect data from your students about their likes, background and/or hobbies and make a beautiful visual display that will also help them remember the different graph types. 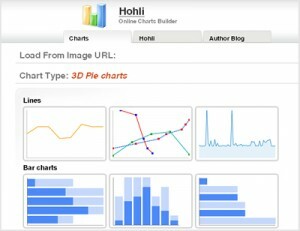 Create bar graphs, pie charts, line graphs, histograms, scatter plots, box plots and even stem and leaf displays. For early elementary students you can even use clip-art to create pictographs. Here are a few online tools to get you started. Kid-friendly warning: While the Create-a-graph tool is from the National Center for Education Statistics and is targeted at students, the others are aimed at businesses and a couple of these tools are ad-supported. Wordle , if you haven’t heard of it already, is a great free online tool that takes a piece of text and then creates a beautiful tag cloud out of the most used words. This can be extremely useful if you’re looking at analyzing a speech, a poem or even a student essay to explore which themes and topics are most prominent. It also can help you create some great decorations for your classroom wall! 1. To start, go to wordle.net and click on the link that says ‘Create your own’ on the home page. 2. Type in or copy and paste a piece of text. This can be anything from information about your students (favorite things, places they’ve visited, countries they’re from) to a poem by Robert Frost or a speech like the Gettysburg address. Click Go. 3. 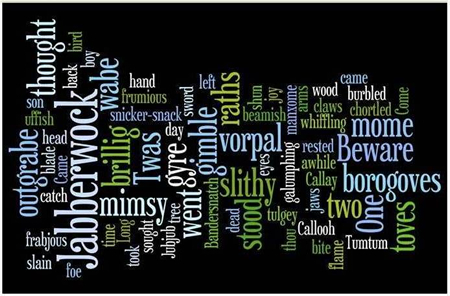 Wait a few seconds (the java applet can sometimes take a little long to load) and then text, watch as Wordle creates beautiful displays of the most frequently used words. You can keep clicking Randomize to see different styles. 4. Once you see one you like, just click print – it’s that easy! If you’d really like to do something extraordinary, try creating many different “wordless” and then stick them on a colored poster board or a long sheet of butcher paper. 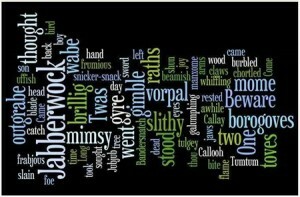 Here’s one that I created out of the Jabberwocky, Through the Looking-Glass and What Alice Found There, 1872 by Lewis Carroll. 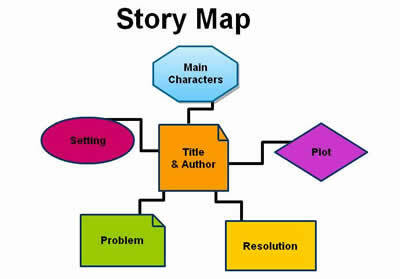 Graphic organizers are a useful strategy when teaching students to brainstorm, organize or analyze information. Many teachers are combining the technique of mind mapping or concept mapping with the use of interactive whiteboards to create lessons that are both interactive and engaging. Mind maps can also be a great way to create quick educational posters that will help reinforce certain strategies for your students. 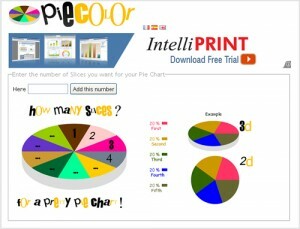 Here’s a sample poster that we created using Gliffy.com – a free online diagramming tool. You can also use PowerPoint to do this, even though it might be a little harder to keep branches and circles together. There are also commercially available software that many schools have access to. But if you don’t have Inspiration or Kidspiration in your classroom, there’s no need to despair. Check out this list of free online diagramming tools. Now that will get the job done. Creating an inspirational learning environment in a classroom can be both a fun and frustrating experience for educators. One way to quickly and inexpensively do this is to put up thought-provoking wall art. Here are three ways to decorate your wall space without breaking the bank. 1. Take a trip to the dollar store – surprisingly, dollar stores can be a great place to find educational posters for your classroom. Often you’ll find posters related to reading and learning basic math facts. If you teach middle or high school, you can sometimes find posters that include beautiful photographs of nature. 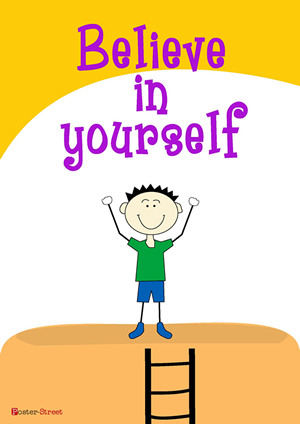 Print out an inspiring quote on paper and glue it to the poster to create your own semi-home made motivational poster! 2. Browse through old magazines – another great place to look for wall art is in old magazines. If you’re creative you can even design a collage with images and phrases or even tear out some of the more creative ads that include only text and place them in inexpensive frames. Some magazines like GOOD actually provides free posters with beautiful infographics that would make perfect wall art for a middle or highschool classroom. 3. Look Online – with a little bit of effort you can find some websites that offer free downloadable posters. If you feel adventurous you can even try downloading some free vector graphics or clip art to create your own. Upload the poster to your local print store and then pick it up within 24 hours. Sites like cafepress.com and etsy.com also offer posters that are hard to find and of very high quality. Got any other ideas for beautiful wall art for your classroom? Share them here.